There are so many decisions that have to be made when it comes to your wedding: the big date, the wedding party, the dress, and of course, the venue. Choosing the venue for a wedding is one of the most important decisions you will make because it will help to set the tone for your special day. For those few moments when all eyes aren't on you and your love, they will be on your décor and the venue where you have decided to host your dream wedding. 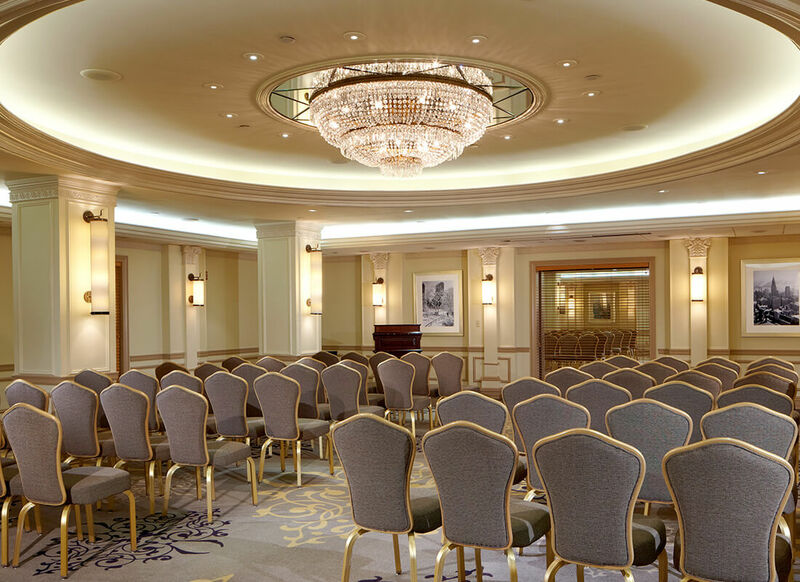 While there are many fantastic places to host your special day, one of my favorite wedding spaces is the Warwick New York located in Midtown Manhattan. 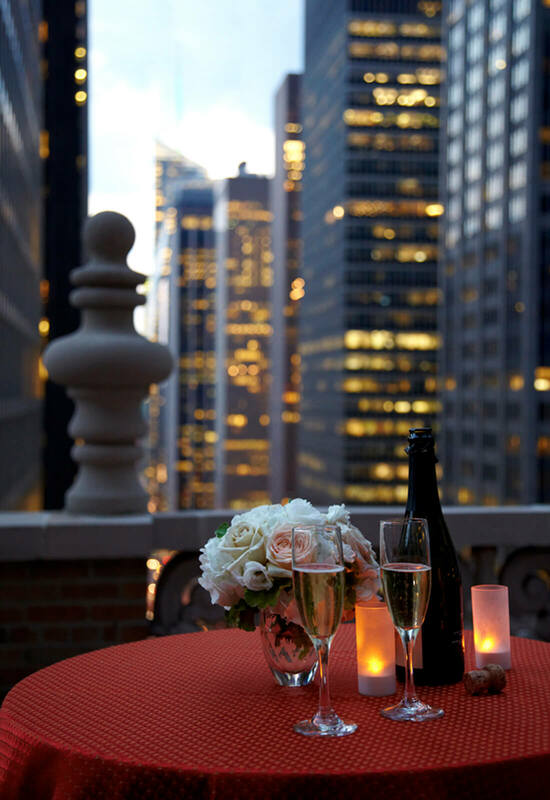 As the height of luxury, this beautiful hotel will make all of your Pnina Bride wishes come true. 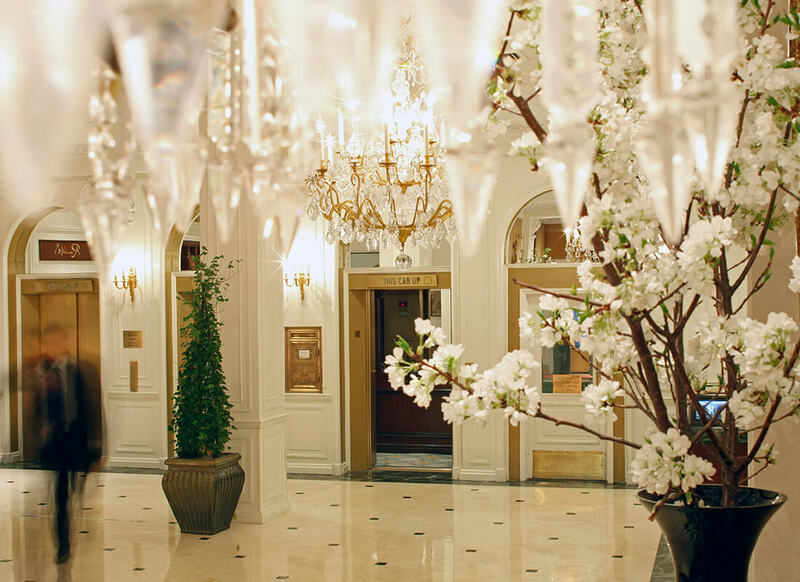 Start your stay at the Warwick by first walking into their spectacular lobby adorned with refreshing flowers and jaw-dropping crystal chandeliers. Need a moment to yourself to relax those nerves before the big “I do's”? 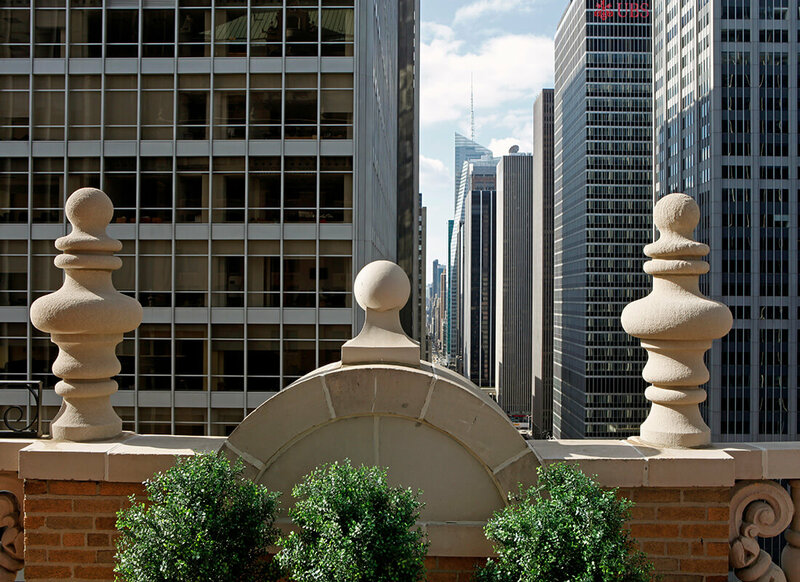 Then retreat to the Warwick Hotel's breathtaking terraces overlooking beautiful Midtown Manhattan. I chose to capture the beauty of the dresses from my new 2017 Dimensions Collection on the terrace of the Warwick hotel due to the fabulous backdrop it provided of the city. There is just something about the soft, femininity of the gowns against the rough beauty of New York that can't be beat! The natural lighting during the day is perfect for the pre-ceremony photos and the elevated heights give you the city background you crave without those pesky photobombers! Your special day should be nothing short of magical and the exquisite Warwick Hotel is a splendid venue to make your Cinderella dreams come true!